Image has been shot in black and white. Color version not available.) 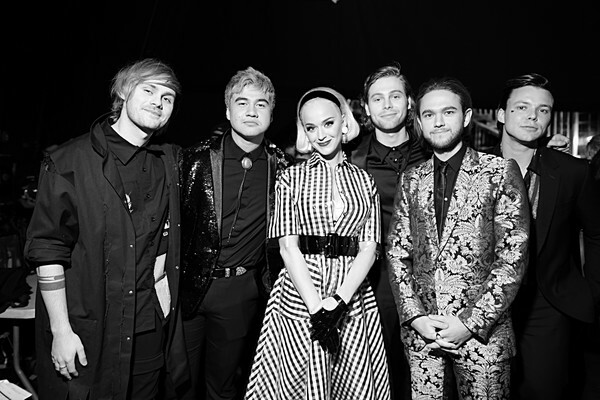 Katy Perry and Zedd (C) pose with 5 Seconds of Summer during the 2019 iHeartRadio Music Awards which broadcasted live on FOX at Microsoft Theater on March 14, 2019 in Los Angeles, California.